Social Media Personas Finsta or Rinsta? Are you the same person you plaster all over social media? No? Well you’re not alone. One of the continuing Gen Z trends is the curation of our social media personas. When I first launched my personal Facebook, I would upload every picture from an event without giving it a second thought. But now, a picture that hasn’t been touched by Facetune or Photoshop will never make its way on to my profile. Whether it be news, opinions or even ourselves, the posts on our public social media profiles are open for judgement from people across the globe. Authenticity online is lacking and trust is declining. In recent years, influencers have been exposed for creating fake content, going against their curated opinions and composing a fictional life. But these facades don’t just sit with those with large followings. A combination of troll culture and social media ‘perfection’ has altered how the digital-savvy showcase their lives online. Younger people have been known to create several social media accounts for their multiple online personas – the simplest example being held on Instagram as ‘Finsta’ and ‘Rinsta’ accounts. Rinsta (real Instagram), are ‘unpolished’ accounts that showcase real life. They’re used to post ‘real’ photos, with little thought and have a more intimate following (often private) of close friends and family. Finsta (fake Instagram), is a curated feed that fit a user’s theme. They’re often retouched and made with followers in mind, showing only the highlights, and are used to make people seem like they live a more exciting life. The creation of these altered selves should be given thought when using targeted marketing campaigns. 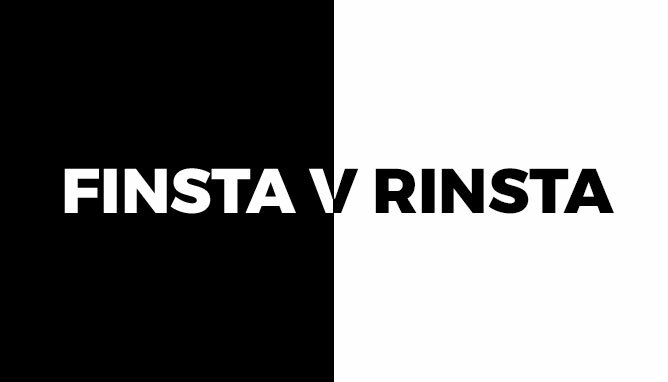 When choosing target audiences, the characteristics you select may reach a user’s Finsta, but not their Rinsta. The profiles they follow, the content they like, and the peak times they engage vary. Our tip would be to accurately reach the right persona. Pay attention to your detailed targeting, especially interests and behaviour. Targeting either group will let you reach your audience in the right way, but their scrolling mindset may differ. Give your Rinsta users a raw and people-centric approach, and sell a lifestyle to your Finstas. How different are your online and offline personas? Tweet us and let us know.